Casey Killingsworth, PPJ/SHS eight grader, recently won first place in a school-level National Geographic GeoBee. 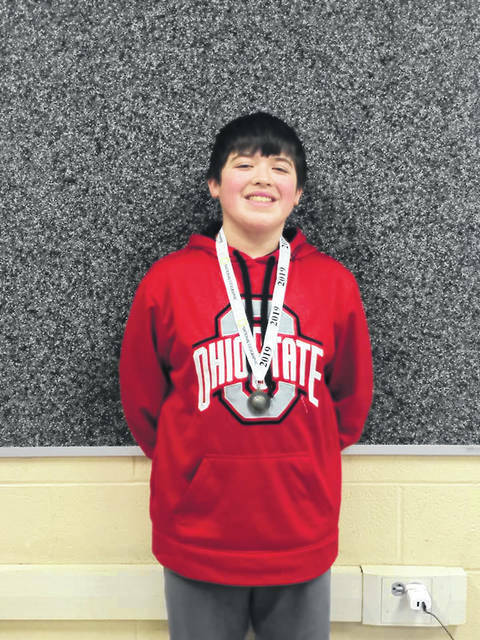 A Point Pleasant Junior/ Senior High School (PPJ/SHS) eight grader recently won first place in a National Geographic GeoBee. Approximately 400 seventh and eighth grade students participated in the first round of a school-level competition of the National Geographic GeoBee at PPJ/SHS with Casey Killingsworth taking first place. He is the son of Kenny and Stephanie Killingsworth. The school-level competition is the first round in the annual National Geographic GeoBee, a geography competition designed to inspire and reward students’ curiosity about the world. Questions cover not only geography, but also cultures, physical features, history, and earth science. The National Geographic Society developed the GeoBee in 1989 in response to concern about the lack of geographic knowledge among young people in the United States. Over more than three decades, 120 million students have learned about the world through participation in the GeoBee. School champions, including Killingsworth, will take an online qualifying test. Up to 100 of the top test scorers in each state will then become eligible to compete in their state’s GeoBee. The winners of the states’ GeoBees receive an all expenses paid trip to the National Geographic Society headquarters in Washington, D.C., next May to participate in the GeoBee National Championship, competing for cash prizes, scholarships and an all expenses paid Lindblad expedition to the Galápagos Islands aboard the National Geographic Endeavour ll. More information is provided at www.natgeobee.org.